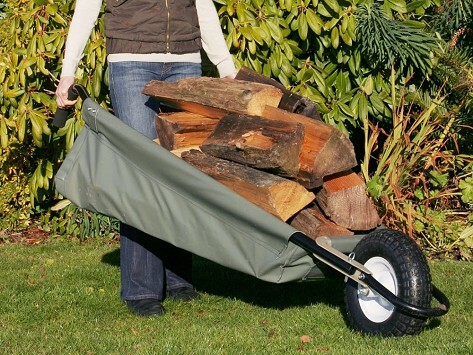 These lightweight but tough folding garden carts are a new take on the classic wheelbarrow. Smart updates make these more functional while you’re doing dirty jobs out in the yard, like a nylon canvas barrow that lays flat so you can ground-level load (on or off). A low center of gravity makes the carts easy to maneuver and the powder-coated steel frames won’t rust like traditional wheelbarrows can. Dimensions: Open: 66" x 48" x 6", Folded: 14" x 33" x 6"
Dimensions: Open 48" x 36" x 4", Folded: 11" x 47" x 4"